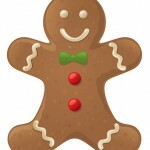 Before we start, let’s clarify one thing: Android 2.3 and not 3.0 (as previously expected) is Gingerbread. Honeycomb on the other hand, is Android 3.0 codename. If certain rumors are to be believed, then Android 2.3 will be released earlier than expected and that is: next week, on November 11th. Samsung is holding a big event on the 8th of November. Google Maps was recently updated to possibly reflect latest Android 2.3 release. Lastly, but not least is the fact that Gingerbread running devices were already spotted some time ago. Just enough fuel to keep this rumor fire burning.